The Kepco HSP series comprises a group of ten models, seven 1000 watt power supplies with outputs from 3.3 volts to 48 volts and three 1500 watt power supplies with outputs from 24 volts to 48 volts. All models feature current-sharing for parallel redundant N+1 operation. 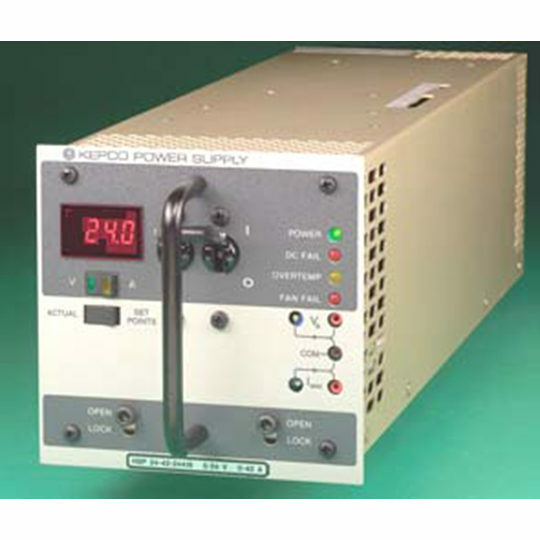 Models with the or-ing diode, option R, are capable of hot swapping when plugged into Kepco’s RA 60 series rack adapter. Models with a digital meter, option M, are also available (see photo, right). A mechanical keying scheme allows the user to define which power supply will plug into a specified slot in the housing. 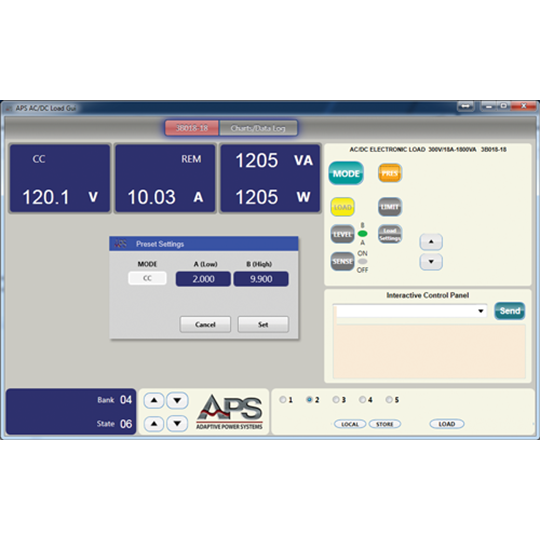 Output voltage and current limit settings are adjustable from the panel and may be remotely adjusted. 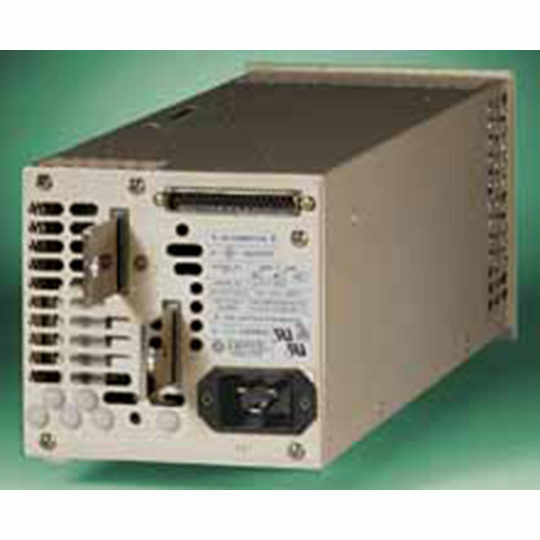 The 1000 watt HSP have a wide range a-c input (90-277V a-c). The 1500 watt models operate from 180-277V a-c mains. 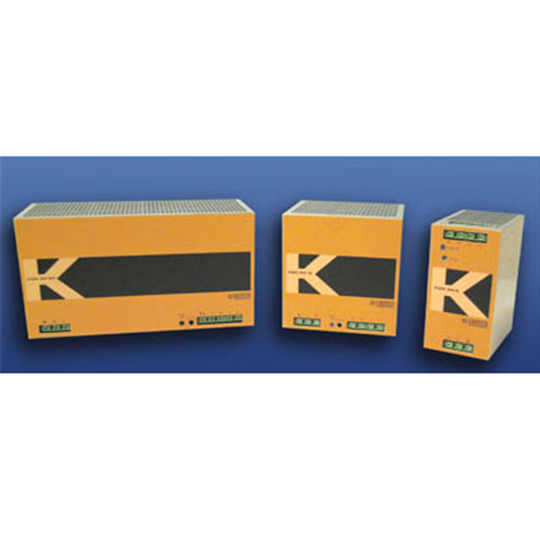 Both feature an active power factor correction (PFC) front end to suppress harmonic generation per EN 60555-2 and EN 61000-3-2. HSP have optional built-in “or-ing” diodes for redundancy paralleling and a hot swap” capability. These are specified by appending the suffix “R” to the model number. HSP Rear View HSP are CE Marked per the Low Voltage Directive (LVD), EN60950 and the EMC Directives. See applicable Declaration of Conformity. 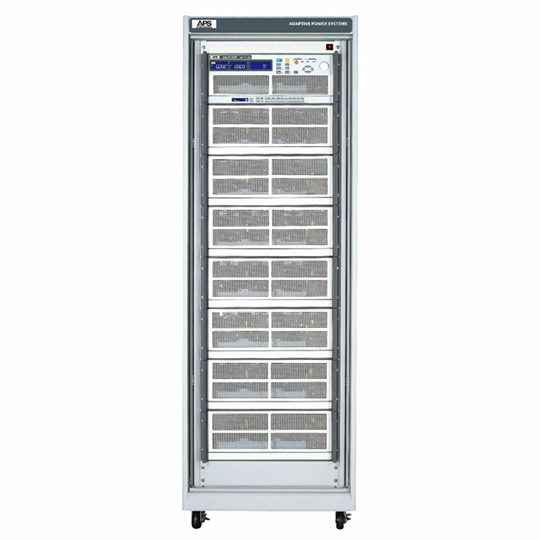 This power supply is ideal for applications requiring fault tolerant power systems; see Relevant Technical Articles. Control/programming of the voltage channel, current limit, overvoltage setpoint. The output voltage is remotely trimmable by resistance. 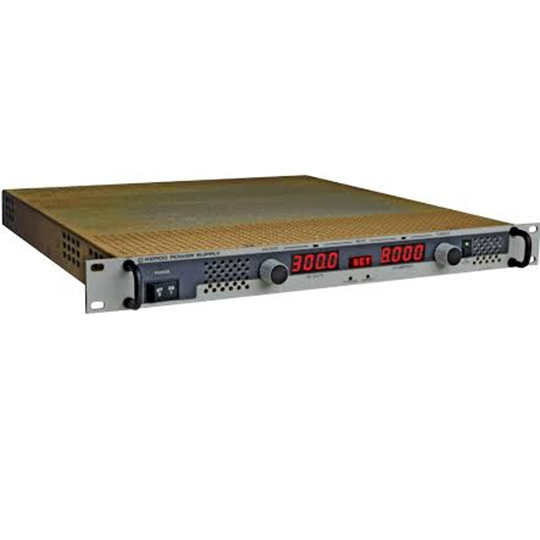 Both the output voltage and current limit are adjustable over the range 20%-100% by a 0-10V analog voltage. 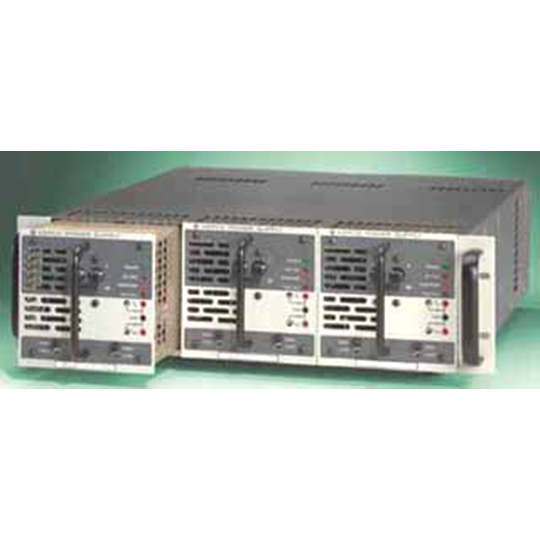 Switch selectable Bellcore-type current “walk-in” characteristic for battery charger applications. HSP are capable of sustaining full load operation through the loss of one full mains cycle at any source voltage without indication of failure. If mains power is lost for more than one cycle, HSP indicates a fault a minimum of 5 milliseconds before the output loses regulation. Total effective hold-up time exceeds 27 milliseconds. 5″ x 5″ crossection plug-ins meet EIA standard for 3U height. Fit three abreast in EIA standard 19″ equipment racks (four abreast in 24″ racks). HSP are fully protected for any overload including a short circuit. Normal overload protection is continuous current limiting. A switch selectable option will latch the power off after 20 seconds to avoid damage to load wires. 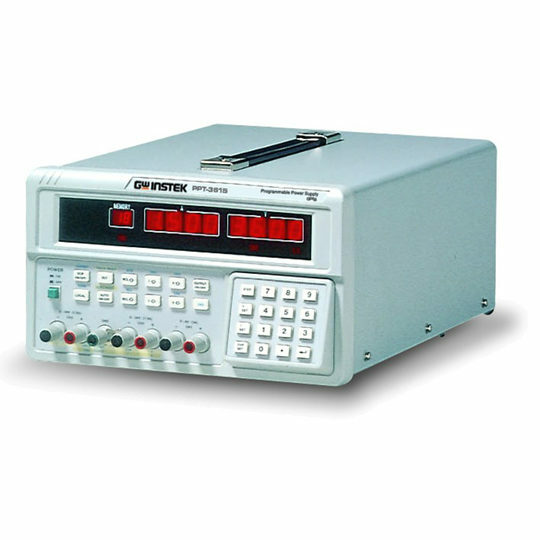 An overvoltage protector latches the power off whenever the output exceeds a user-set limit. Remote control of HSP is provided via one of two isolated TTL-level signals, one normally high and the other normally low. An internal 5V supply powers this circuit and provides the auxilliary 5V, 100mA output. This voltage is available whenever source power is applied whether or not the main output is inhibited. The main output is normally ON if no remote logic is applied.